Gosh dang it. There’s that verse again. It keeps haunting me! I tried to ignore it, but it came up again last week in bible study and I felt like a deer in the headlights. Because what does a barren, complementarian woman, gifted to teach and lead do with 1 Timothy 2:8-15? 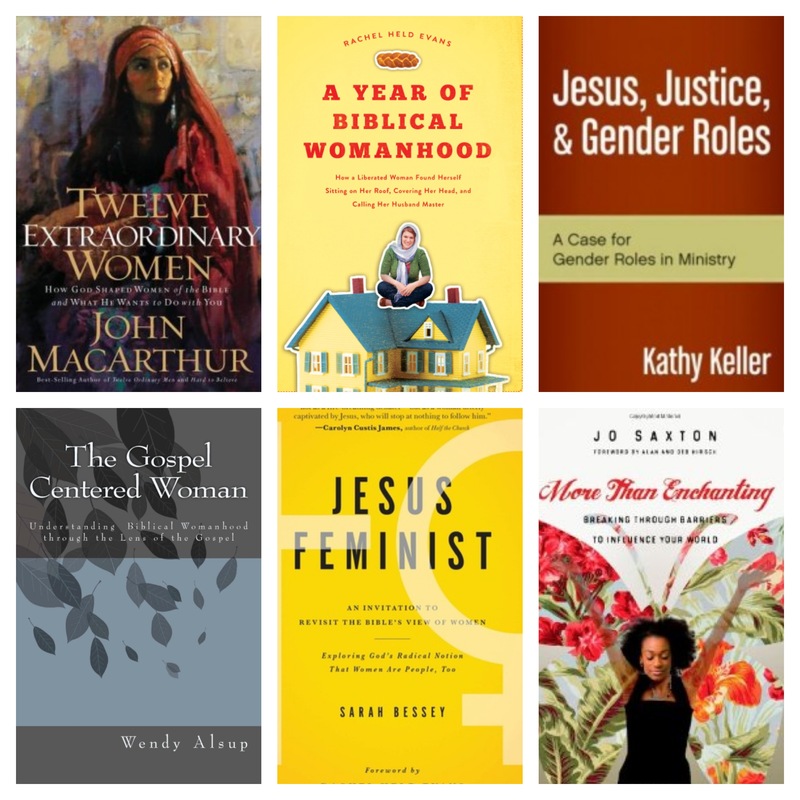 Not because I was bored one day, but because I wanted to know what the bible really says about “women in ministry”, I set out to do some learning. And I wish I could go back to a simpler time. I’m one of those thinkers, black & white thinkers, who needs to know what’s “right” and live accordingly. So I terrorize myself into studies like this that are, well, gray. I bought a bunch of books on the topic. And you know what? I landed right back where I started. That’s right. I am still asking what the heck does 1 Timothy 2 mean? 1 Corinthians 14? Genesis 3? Proverbs 31? 1 Peter 3? Ephesians 5? Because women’s discipleship has to be more than just being modest and quiet. And what is modesty anyway? Not wearing a low cut shirt and fancy jewelry or a position of the heart to be humble? It has to be more than being mom. Saved through childbearing 1 Timothy 2? So where does that leave me, a barren woman who loves Jesus and wants others to do the same? Yet it can’t just be “well all of those passages were for the olden days. None of it applies today.” Because then what purpose does ANY of scripture have in our life? I tried so hard to be a feminist during this little excursion. But I couldn’t get past all of the places in scripture that talk about “headship” and “submission” and “order”. I see women all over my church, my city, the world gifted to teach and lead. And doing great things for the Kingdom. Are they really supposed to just “be quiet”? The thing is, deep down, I want to do what’s right, I want to obey God’s word, every part of it, even parts I don’t like or don’t agree with. I told my pastor “I really would wear a head covering TODAY if that’s what I thought this text meant!” I truly want to honor God with my words, my actions, and my life. If I HAD to put myself in a box of where I stand for “women in ministry” it would be . . .
A complementarian feminist. Is that a thing?! I have no idea? Maybe I’ll find out when I finish some of these books. Even if my theology isn’t clean cut, or 100% with a tribe, God loves women and uses them in His mission on earth. He has gifted women and called them to serve in unique ways. I long to see women break free from stereotypes, oppression, and insecurity and walk in the good works God has prepared for them beforehand (Ephesians 2:10). I also long for them to know and delight in scripture, submit (yes, I said it, submit) to it even when it’s stuff that we don’t like. I want women to view the world through a biblical lens, a Jesus lens, and live accordingly. Either way, I know that woman or not, I am a disciple of Christ. And in that, He calls me to love Him, and love others. To be a minister of the gospel of grace, regardless of my gender, and proclaim the excellencies of Him (1 Peter 2:9) to anyone that would hear. I totally think “complementarian feminist” is a thing. Thanks so much for reading Wendy! I have SO appreciated your voice on this topic, more than you’ll know. Oh good! You figured out what I think on the subject. I’ve been needed someone to do this for me. If by “figured it out” you mean “I don’t know? !” then yes, yes I did!